Why Did Barneys Take So Long to Sell Skincare for Women of Color? Did Barneys Just Figure Out It Should Be Selling Skincare for People of Color? Black and brown shoppers have historically had a hard time shopping for the right makeup products in department stores, given that most of products offered are designed to look good on people with lighter skin. When Rihanna launched her Fenty Beauty line with 40 shades of foundation, that started to change, spurring other makeup companies to offer more shades, as if they all suddenly realized black people wear foundation. According to a Business of Fashion, skincare is taking a cue from makeup and following Fenty Beauty’s example. While Target has previously sold lines for women of color, high-end retailers like Barneys have just now realized there’s a market for this, too. Last year, the department store started stocking its first-ever skincare line designed for women of color in stores. In both skincare and colour cosmetics, brands are looking to get ahead of a demographic shift that is expected to give the US a multicultural majority by 2044. But framing this shift as new or forward-looking ignores the fact that women of color have been making money and shopping in the U.S. for a long time, and that the racial and ethnic makeup of the country has already been changing, with minorities gaining more and more purchasing power over the last two decades. The rise of online stores also means they no longer have to worry about limited shelf space, allowing them to take more risks instead of attempting to “appeal to the largest audience with every product stocked,” [Maya Mikhailov, the founder of retail app developer GPShopper] added. Appealing to the “largest audience” possible means appealing to the largest amount of white consumers, since that is retailers’ idea of its customer. Because that’s what’s really behind this—business-owners’ perceptions of who has money and wants to spend it on things that make them feel beautiful, not any hard data. As BoF writes, “Skincare brands have long assumed the market for women of colour was too small.” This ignores that fact that in 2017, according to Nielsen, they made up 15 percent of the skincare market. 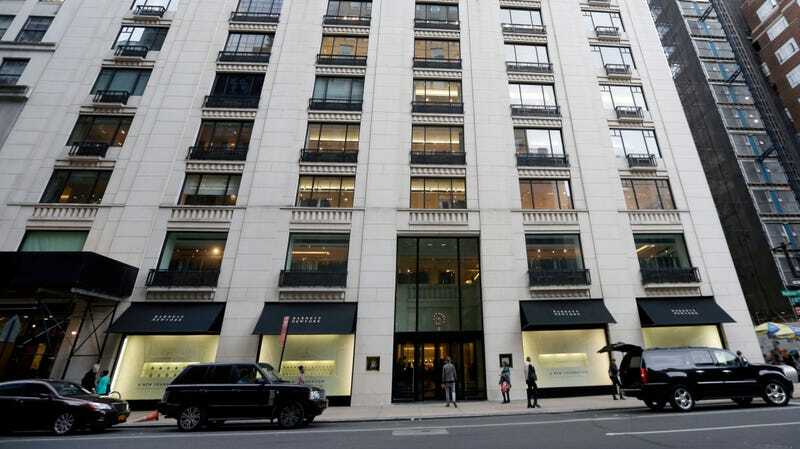 Barneys’s decision reveals something that perhaps black and brown shoppers have long suspected: that retailers are simply ignoring them. Dr. Barbara Sturm, who launched a skincare line for darker skin tones in 2016, told the BoF what happened when she started selling it: “To put it plainly, they did not want products formulated exclusively for the needs of darker skin tones.” Barneys sells Sturm’s other products, but when asked for comment about why they did not sell the line made for darker skin tones, a representative said Barneys was “never offered the line but would have happily picked it up.” How convenient.